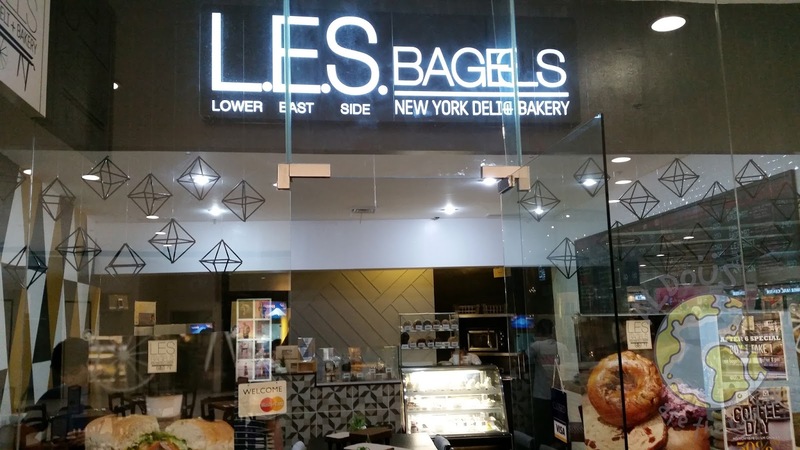 Coming from the streets of New York, Les Bagels offers fresh flavored bread combined with equally flavored cream cheese. It was just a normal morning when me and the rest of the team decided to head there for breakfast as we met up with owners Pri, Mikko and Pat who happens to be the brother in law of Team Aldous' Eager Beaver Monse. The bagels got cold after laying there for a while for our private photo shoot. It was a good thing there was an option to toast them again and they ended up tasting so heavenly especially dipped in any cream cheese flavor. 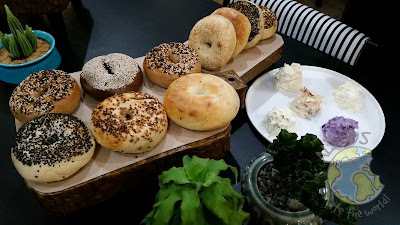 The list of bagel flavors include Plain, Sesame Seed, Chocolate, Garlic, Whole Wheat, Cinnamon Raisin, Black Sesame Seed and Whole Wheat Everything. My favorite one is by far Sesame Seed. Meanwhile, the list of cream cheese flavors include Plain, Bacon Cheddar, Garlic and Chives, Jalapeno, Blueberry, Sundried Tomato Basil and Apple Cinammon. It was definitely hard to choose a favorite among them since they were all impressive. The ones that stood out for me were Bacon Cheddar and Applie Cinammon though. I loved dipping any bagel into those cream cheeses. My jaw dropped when I saw they have brownies. 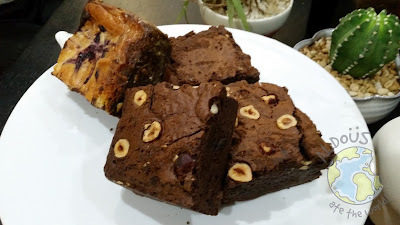 I said to myself that I really have to try them even though I rarely eat brownies. What was my verdict? Both the Fudge Brownies and Espresso Hazelnut Brownies are so chocolatey which is good news for all the chocolate lovers out there. 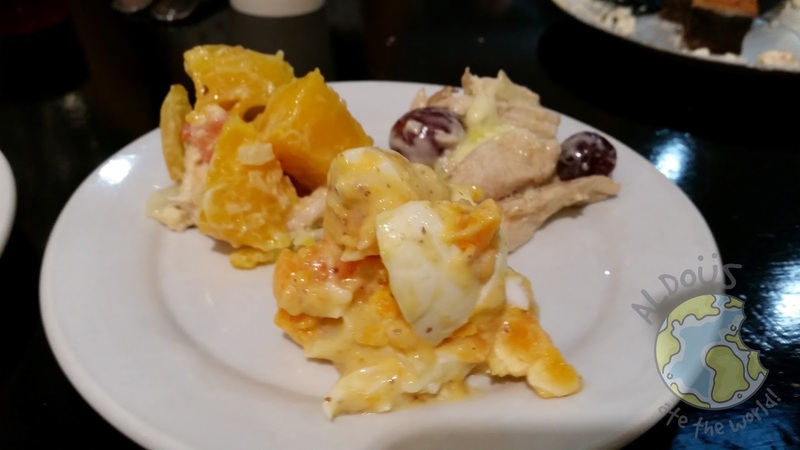 I also had samples of their chicken waldorf salad, chicken mango salad and egg salad. I must say these salads would really go well with the bagels. I have to admit I will go often here at Les Bagels when I decide to live a healthy life once and for all. When will that be? Well, even I don't know when. For dessert, we had the Oatmeal Cream Cookie and the Homemade Oreo. 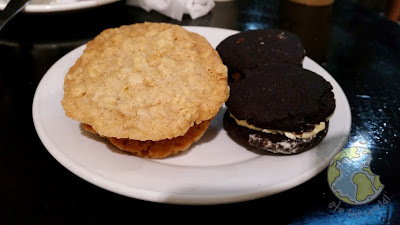 After eating all that bread, it was hard to admit I was full as I still had a lot of space in my tummy for these two yummy treats. I have to say they did not disappoint one bit. The salads look really nice.